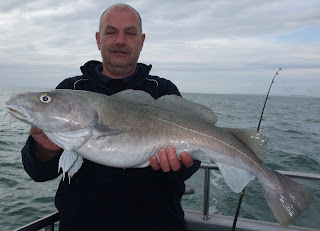 A nice day's fishing for the lads from Glos! 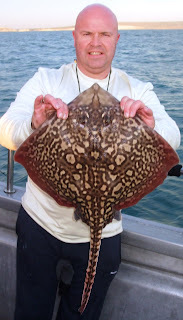 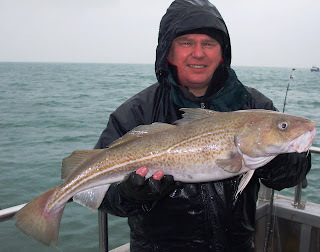 Dave Lynes with another nice double shame about the hat Dave! 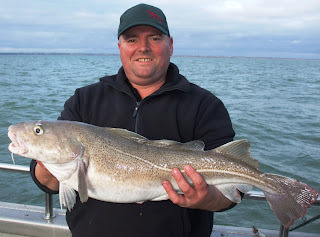 David Palmer is no longer a cod virgin after getting into this 12lber! 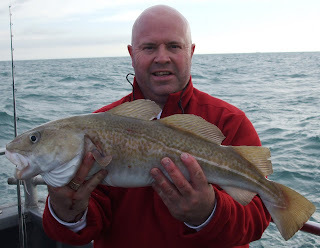 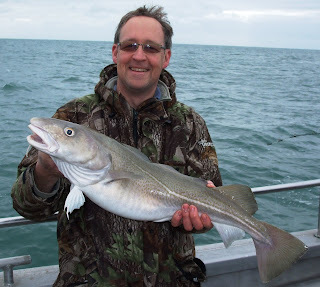 Pete "Geeze" Bailey with his 2nd cod. 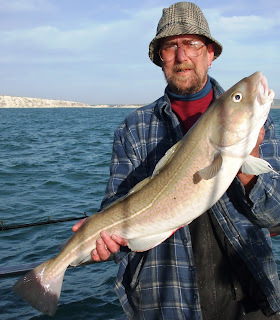 The good news is that the cod have arrived in numbers off the Isle of Wight. 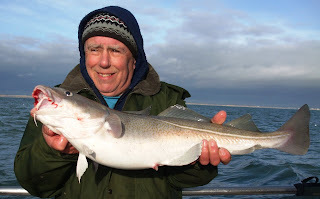 They seem to be the same stamp of fish that we saw on the rips last summer. 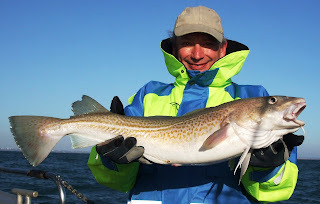 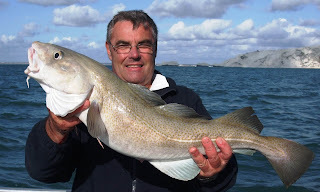 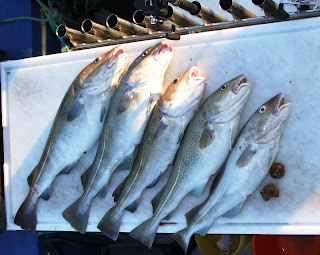 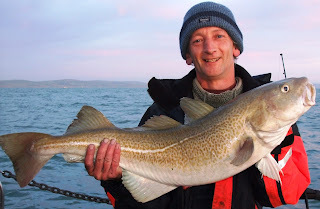 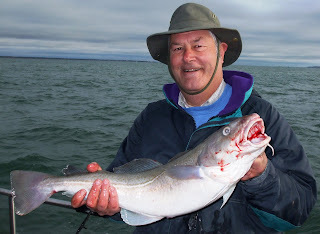 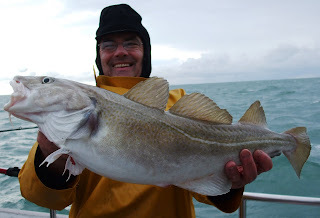 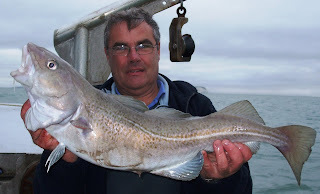 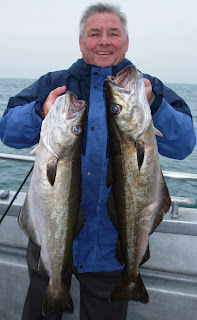 I am expecting the bigger cod to show up in December and January as they did last year. 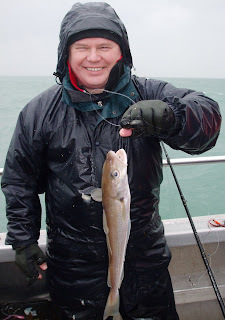 Also increasing numbers of whiting, congers and a few late bass. 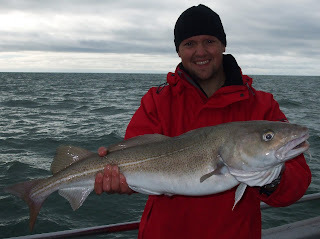 If you fancy a trip please give me a call on 07787 375386….. 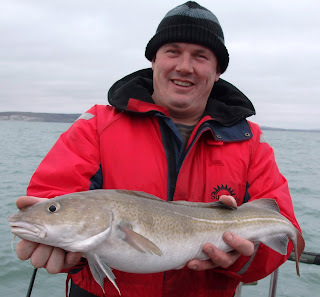 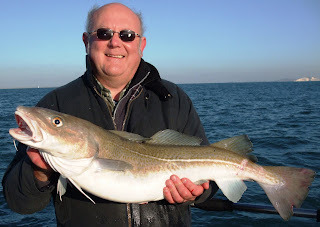 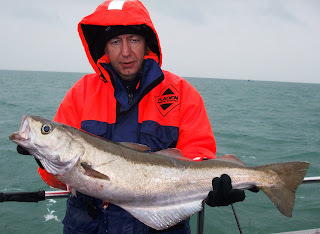 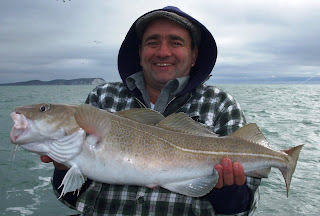 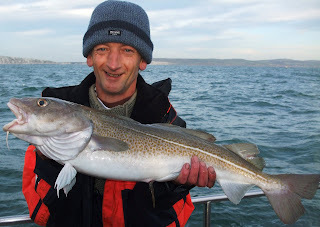 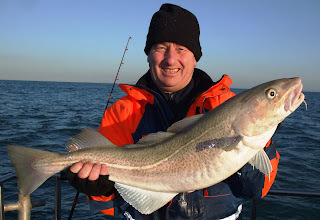 The winter cod have arrived early off the Isle of wight grounds. 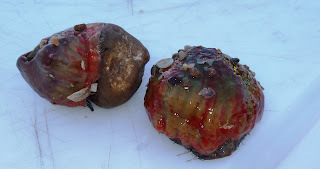 They look a similar stamp to those we enjoyed catching on the brittle star grounds this summer. 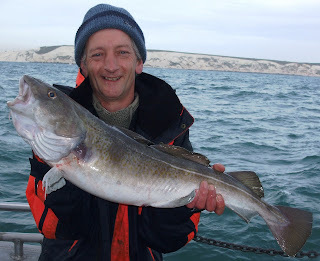 Hoping for a real big fish soon..